The basis of all topology functions is the conversion of a padapower network into a NetworkX MultiGraph. 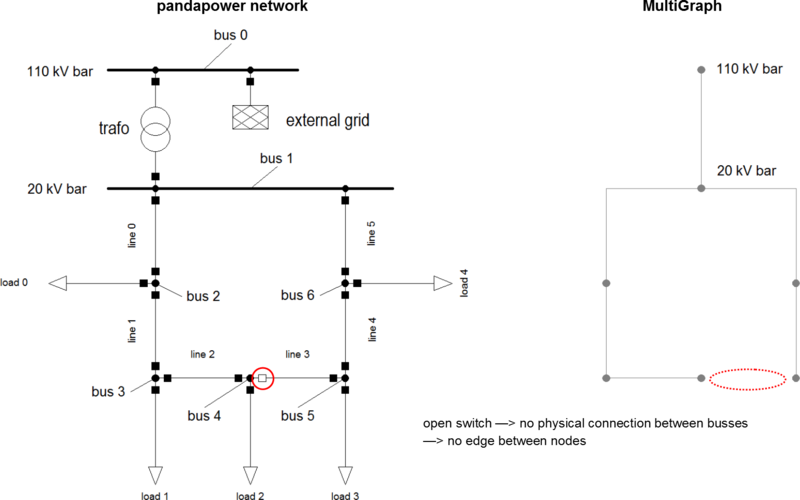 A MultiGraph is a simplified representation of a network’s topology, reduced to nodes and edges. 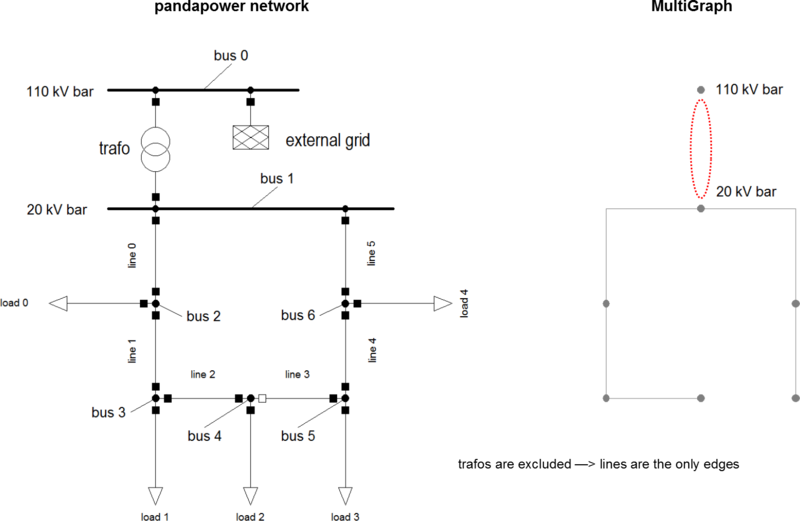 Busses are being represented by nodes (Note: only buses with in_service = 1 appear in the graph), edges represent physical connections between buses (typically lines or trafos). Multiple parallel edges between nodes are possible. Nodes have the same indicees as the buses they originate from. Edges are defined by the nodes they connect. Additionally nodes and edges can hold key/value attribute pairs. Apart from these there are no element attributes contained in the MultiGraph! 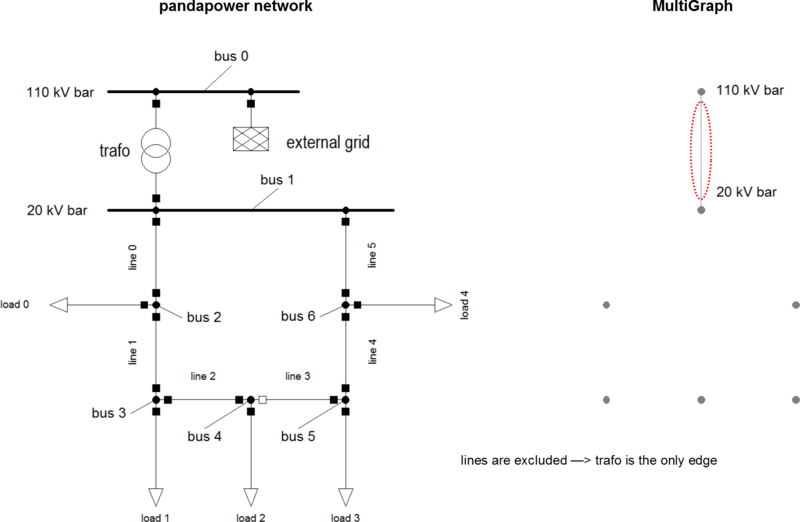 Converts a pandapower network into a NetworkX graph, which is a is a simplified representation of a network’s topology, reduced to nodes and edges. 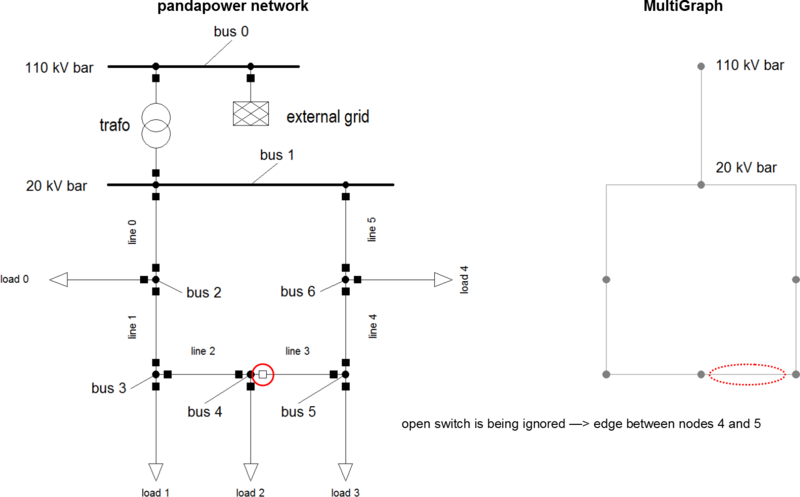 Busses are being represented by nodes (Note: only buses with in_service = 1 appear in the graph), edges represent physical connections between buses (typically lines or trafos). calc_branch_impedances=True. 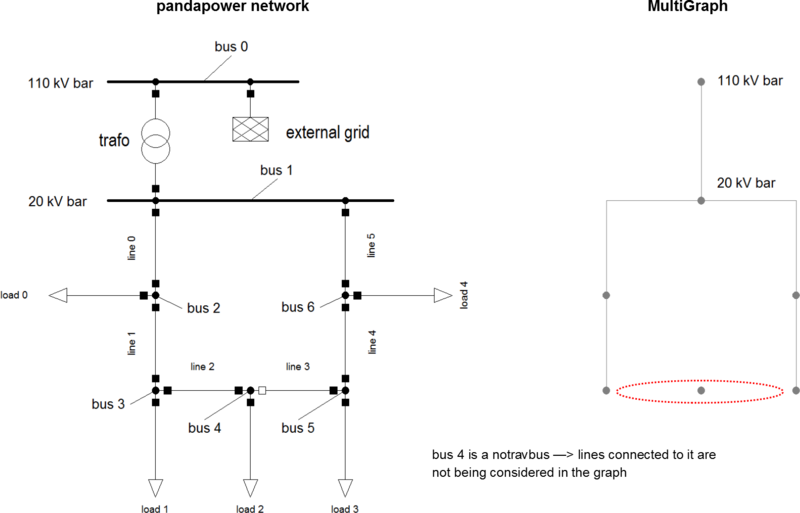 If it is set to “ohm”, the parameters ‘r_ohm’, ‘x_ohm’ and ‘z_ohm’ are added to each branch. 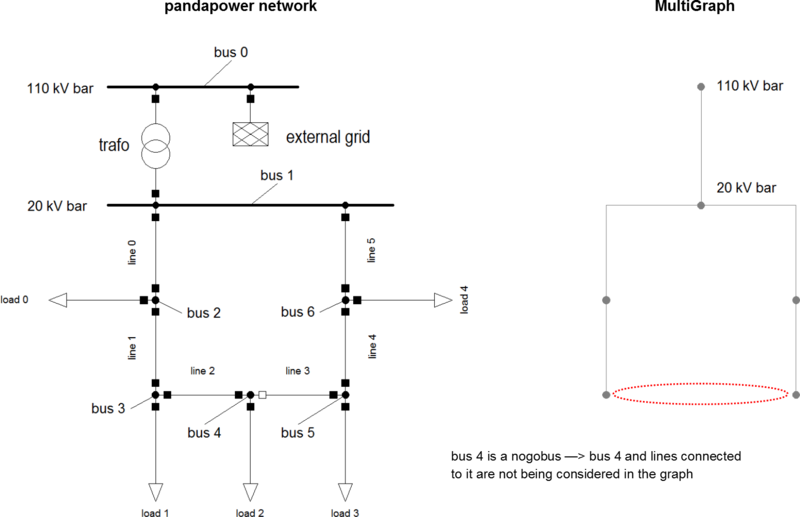 If it is set to “pu”, the parameters are ‘r_pu’, ‘x_pu’ and ‘z_pu’. mg = top.create_nx_graph(net, respect_switches = False) # converts the pandapower network “net” to a MultiGraph. Open switches will be ignored.